Cabo San Lucas fishing is with out doubt some of the best in Mexico. The town is known for its extraordinarily high catch success rate at 70-100%, abundance of sea life, boats and friendly tour guides. Nicknamed the Aquarium of the World, the Sea of Cortez alone attracts 40% of the world’s marine life. This marine diversity combined with strict catch and release regulations leads to incredible fishing for beginners to professionals. Every year, people worldwide flock to Cabo San Lucas for fishing alone. This destination offers a level of fishing every person from experienced to inexperienced can enjoy. No matter your knowledge or skill, everyone is guaranteed to have fun while fishing in Cabo San Lucas. Fishing in Los Cabos is world re-known. Known as the Marlin capital of the world, you’ll find some of the best spots to catch your prize fish. .
Cabo Fishing Charters are usually in either luxury boats or pangas. 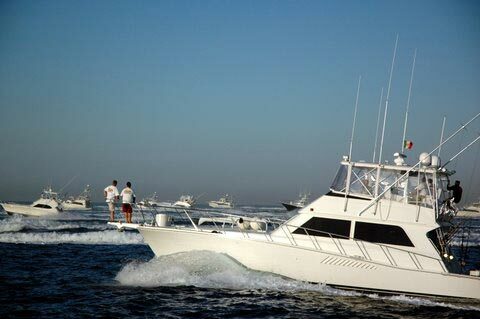 You can book Cabo San Lucas fishing packages with your charter company. Cabo is almost always clear skies with no rain. This means every day is a good fishing day! The farthest you have to sail out to catch a fish is 25 miles and usually you will have a Marlin on the end of your line in no time. With over 30 years of experience in Cabo fishing, Pisces is one of the most reputable charter comapnies. If you are on a budget you can fish for as little as $112/day or if you want pampered luxury, you can charter your own private 105ft luxury yacht. ue to the amazing catch success rate, beautiful scenery and diverse marine life Cabo San Lucas is a popular location for many sport-fishing tournaments. The most famous of these is the top fishing tournament in the world – Brisbee’s Black and Blue. If you catch more than one Marlin or Sailfish per boat you are strongly encouraged to release the fish. This maintains the marine population and incredible fishing for everyone in the community. 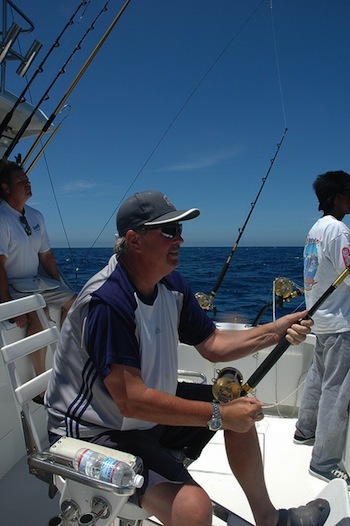 Cabo San Lucas fishing is best known as the number one location to catch striped Marlin. Depending on the time of year Cabo is also incredible for catching Red Snapper, Jack Crevalle, Amberjack, Sierra, Cabrilla and Yellowtail as well as Black Sea Bass, Snook, Mako, Blue and Hammerhead sharks. Below is a list of dates for prime fishing by species.